With the summer months now long gone, most hotels are looking for a way to increase bookings during a historically slow period. In most cases, trying to make any significant changes to your organic site to accommodate for this downtime may seem a bit overwhelming, and in many cases, won’t generate the immediate ROI that hotels are looking for. 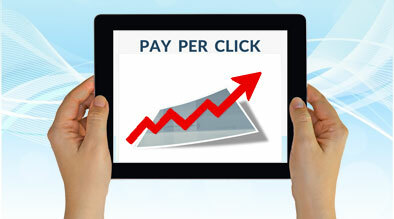 PPC provides an excellent opportunity for hotels looking to take advantage of the holiday season by running highly targeted short term campaigns that can be setup in minutes. Figure 1: The 4th of July Holiday Campaign for this New York property was able to generate $11,500 over the course of just 12 Days for an ROI of roughly 4000%! Now that you’ve seen the results of our holiday PPC campaign, let’s discuss exactly what it takes to run a successful holiday campaign this winter. Plan Early: Get a jump on your Holiday PPC campaigns as early as possible by deciding which holiday(s) you will feature, what promotions you would like to offer, and how you plan to optimize your landing pages. Figure 2: Using Google Insights, one can see that traffic for “chicago new years eve” doesn’t start to build relevancy until October where it increases at an outstanding rate. Be prepared for this by having your New Year’s campaign ready to launch by October 1st. Find Some “Spooky” Destinations: Believe it or not, people do actually travel for Halloween. Check with your local CVB and do some quick keyword research to see if there are any major attractions in your area that may be running their own Halloween special events that you can take advantage of. Figure 3: In many cases, local attractions can actually provide you with great offers to use in your PPC AdCopy, landing pages, or (at the very least) some nice marketing collaterals. The Winchester Mystery House in San Jose was able to provide this banner for their current “Fright Night” Halloween special. Remember the Family Travelers: Even though school may be back in session, there will still be ton of family travel from October – December. Set up a new AdGroups specifically targeting “family hotels”, “family vacations”, or any travel destination in your area that you know is going to have a strong holiday push. Don’t forget to setup some “park and fly” packages that can be used for Halloween, Thanksgiving, and Christmas. Landing Pages Galore: No matter what new Ad Campaign you set up, it is absolutely crucial to ensure that you have a highly targeted landing page with a strong offer linked to each of our holiday campaigns. Part of the reason the original 4th of July campaign was so successful was because of the custom landing page that was developed and used for the campaign. Be prepared for your Holiday PPC campaigns and start developing your landing pages! 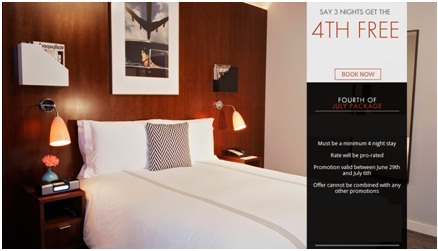 Hotels stand to benefit significantly from these Holiday ad campaigns as these present high traffic and low cost conversion opportunities. That being said, these short term campaigns require constant monitoring (especially as conventions or holidays come and go) and very careful planning. While it may be a little late for your Halloween campaigns, start planning your Holiday campaigns now!